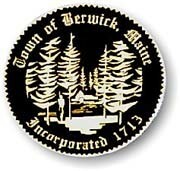 Because Berwick has been historically a smaller community, many services are provided by county based programs such as York County Communtiy Action, and Seacoast regional programs. In town we do have Berwick Meadows, affordable elderly housing. The COAST bus has a route stop & pickup in Berwick. For riders above the age of 65 years old receive half off their fare. The Table of Plenty and Berwick Methodist church offer weekly free meals to the community . As part of our comprehensive plan we have bike lanes, centralized shops and services and a plan for 40% functional green space i.e. parks. We also have plans for adequate benches, increased walkability and have a plan for a new community center in town.